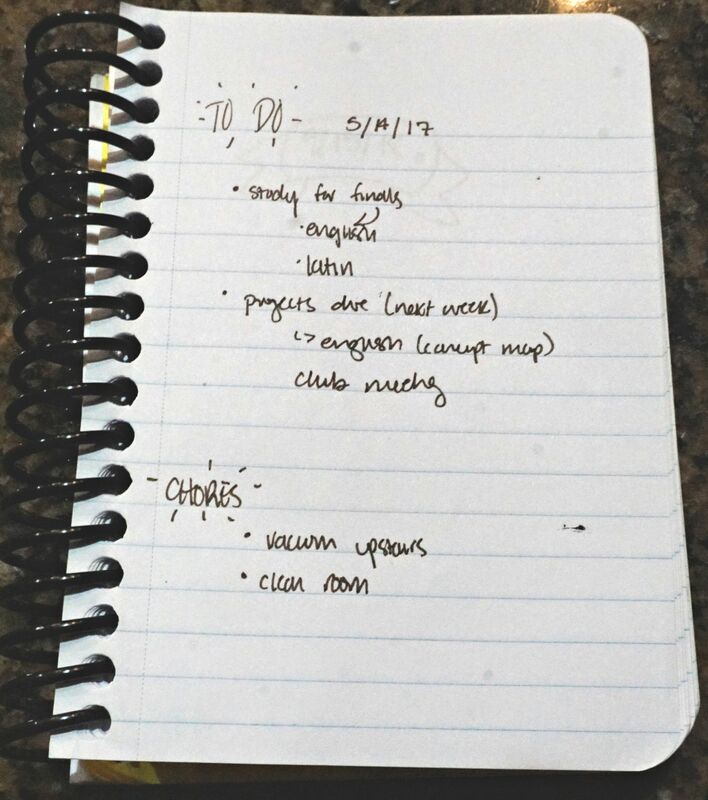 I will preface this by saying that I am NOT a huge planner person, but that a place to write down all of my to-do lists, and other odds and ends has been absolutely essential for me to stay on top of everything. Bullet journaling became a great compromise. It’s not a system for everyone, but it has served me well. (Not sure if it’s right for you? Read this.) Here are some things that I’ve picked up along the way. First – you don’t have to rush out to get a special bullet journal. Sketch books and even dollar store spirals work just as well. On the left I have two spirals, in the middle I have a small journal (I regretted that, because I ended up not getting through the whole year with it), and on the right I have two leather bound journals with blank sheets. Pick out something that’s right for you, and then jump right in. It’s not all about fancy headers, and beautiful script. While I do make my headers different from my lists most of that is for organization, so that I can easily pick out the most important information. Because bullet journaling is something I have to do every day (the to-do lists pretty much never stop) it’s important that I don’t get burned out. 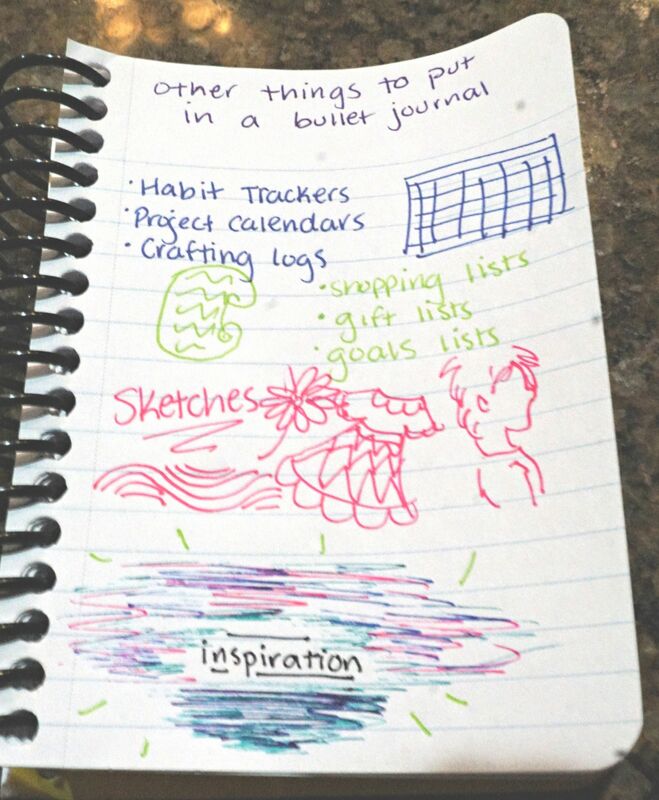 If you’re more artistic than I am then you can probably skip the Spartan Bullet Journal and do something much fancier – or, if you want to spend an extra few minutes making that day’s page fancy (you do have to look at it all day) then go for it! However, I do enjoy having something nice for some of my month headers, as well as big picture to do lists (say for a week or a year). Here are some quick ideas that will look relatively artistic without being too time consuming. 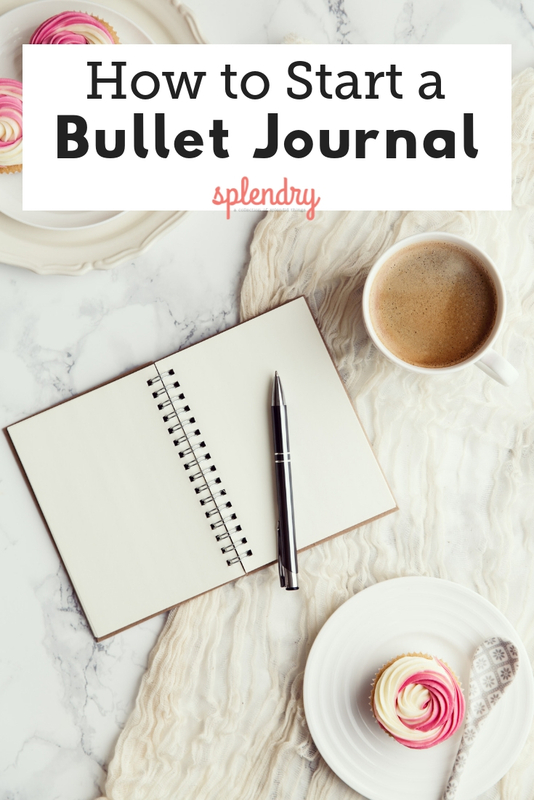 When planning your bullet journal don’t be afraid to try different formats to see what works for you best. 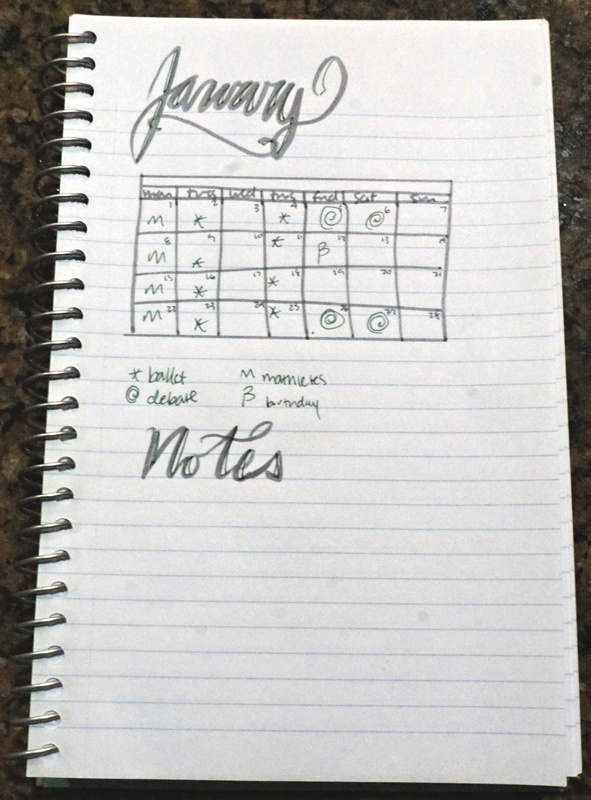 That’s the part of the beauty of starting with a clean slate: you aren’t stuck with a planner that isn’t just right. I tend to use a lot of symbols on my month pages, because I have a lot of weekly events that I don’t want to have to write out every single time. I’ll mark my month pages with sticky notes, or simply dog ear them. At either the beginning or end of my bullet journals I’ll set up a full year long calendar. Usually it won’t hold too much information, but will be a nice birds eye view of the year. For my tiny journals I put the calendar onto a piece of printer paper, folded it and then taped it in. Keep in mind that different months will need different numbers of rows, so make sure to consult an online calendar when constructing your own. I would also recommend printing one off the internet (drawing them out by hand had a lot to do with stubbornness and personal aesthetic). 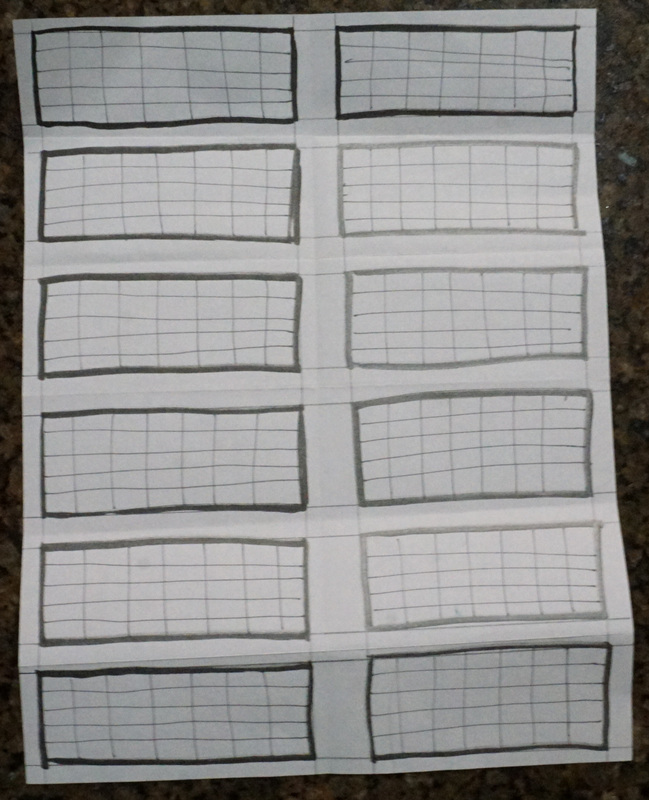 Finally, the greatest (and the worst) thing about bullet journals is that there is no structure, you can put whatever you want in it and use up as many or few pages as you need per day. 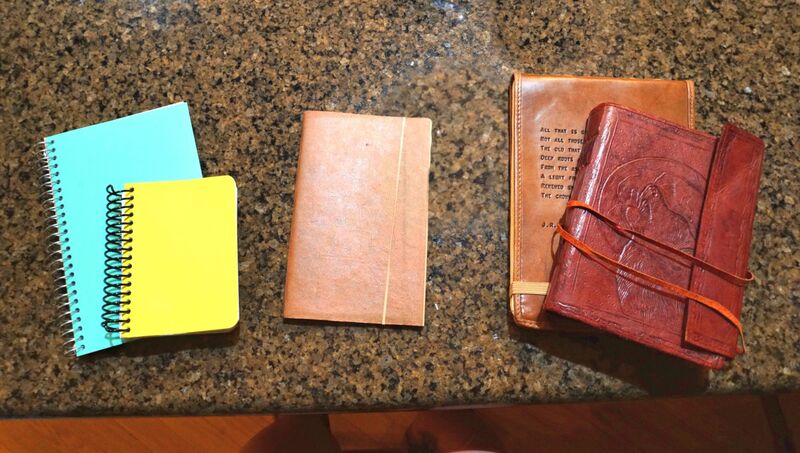 They’re not just planners, but also records of thoughts, ideas, sketches, or things that you did that day. So happy bullet journaling, and good luck! Shea Li is a student who has 2 horses, 2 dogs, 1 sugar glider, and a huge love of animals. She writes, rides a little, watches movies, plays League of Legends, and spends way too much time thinking about philosophy she doesn't understand.